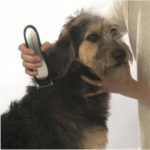 Are The Ergonomics And Power Of The Wahl Professional PowerGrip Dog Clipper Enough For A Good Grooming Session? 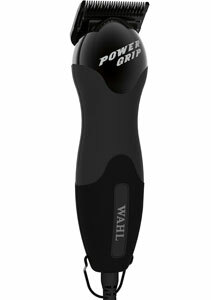 Power is a clear theme with the Wahl Professional PowerGrip Dog Clipper. The specification talks about the PowerGrip and PowerDrive, which suggest a product that is tough, reliable and easy to handle. This is partly due to the use of the speed controls, constant torque and ergonomics. To sweeten the deal, the product comes with a series 10 blade, replacement drive tips, a cleaning brush and some blade oil. The hope here from consumers is an effortless performance and great result, but it this delivered? 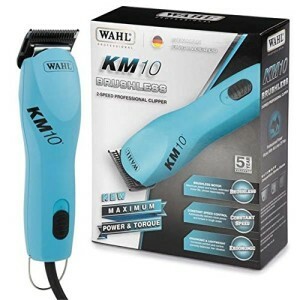 What advantages have been mentioned by buyers when reviewing this Wahl Dog Grooming Clipper? Starting with that sense of power and efficiency, there are some interesting features here that are designed to help users with a hassle-free, high-quality cut. One of the key elements here is the use of ergonomics. There is a rounded shape across the body of this clipper that isn’t seen in many other pet clippers. This allows it to roll in the handle for manoeuvrability and prevents the front housing from clogging up with hair. There is also the added benefit that this system is only 14.3 oz in weight, so can be held for long periods. Then there is the final result offered by these clippers. 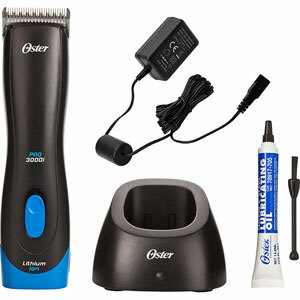 The system is said to be ideal for all kinds of coats, matts, complete shaves and show cuts. The majority of buyers seem to be impressed with the quality of the cuts and the way that the system cleanly slices through the fur. There are occasional issues with bad tangles, but nothing too troublesome. It also helps that these clippers are pretty quiet with low vibration, so animals aren’t getting stressed out and making the session more difficult. 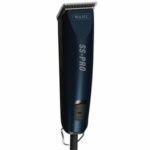 Are there any important disadvantages with this Wahl 8879-200 Professional PowerGrip Pet Clipper? For the most part, buyers are pretty happy with the performance and features provided with this Wahl professional dog clipper. There are some that would make some small tweaks to the design or package options, however. For example, there are some that would like to see Wahl go further with the accessories. Blade oil and tips are nice, but some extra blades, combs and a carry case would be even more practical, especially for professional groomers working on different dog breeds away from home. There are also criticisms of the length of the cord. This 10ft cord helps to provide that consistent power, but limits manoeuvrability a little. 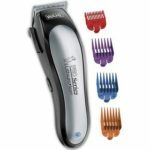 Summary: does this criticism mean that that the Wahl PowerGrip is not as recommendable as hoped? There is a lot to love about this clipper, and it is clear that the designers have really tried to improve the design to appeal to a wide range of dog owners – even if they haven’t always succeeded. The shape is a nice progression for those with a big job at hand because it does protect the wrist. 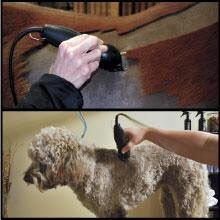 Also the power, cutting action and speed all help to provide those great cuts on many types of coats. With a better cord and more accessories, this Wahl dog clipper could be the 5-star, versatile, user-friendly model that groomers are looking for. Even so, there are still so few criticisms that it is still highly recommendable. Find more reviews about the Wahl Professional PowerGrip Dog Clipper on Amazon here.